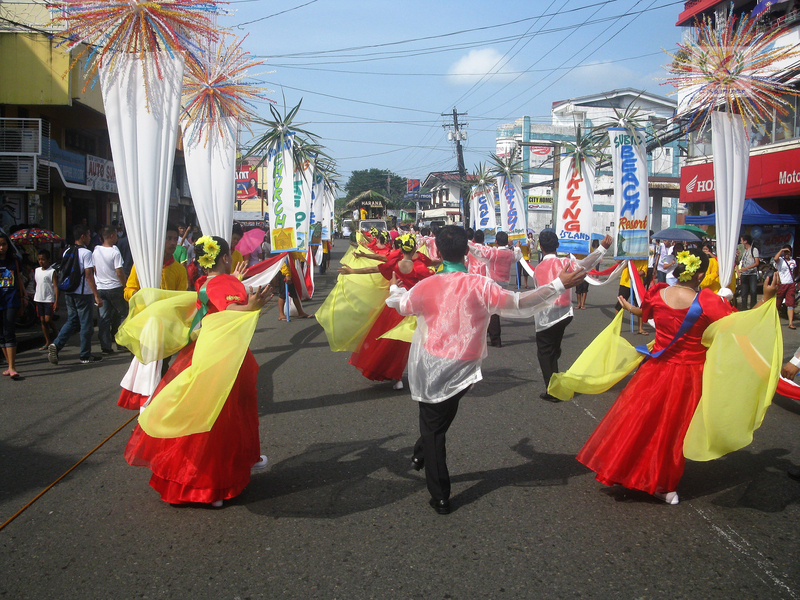 July 17.2017 – They dance the Pántómìná in the street of Sorsogon. 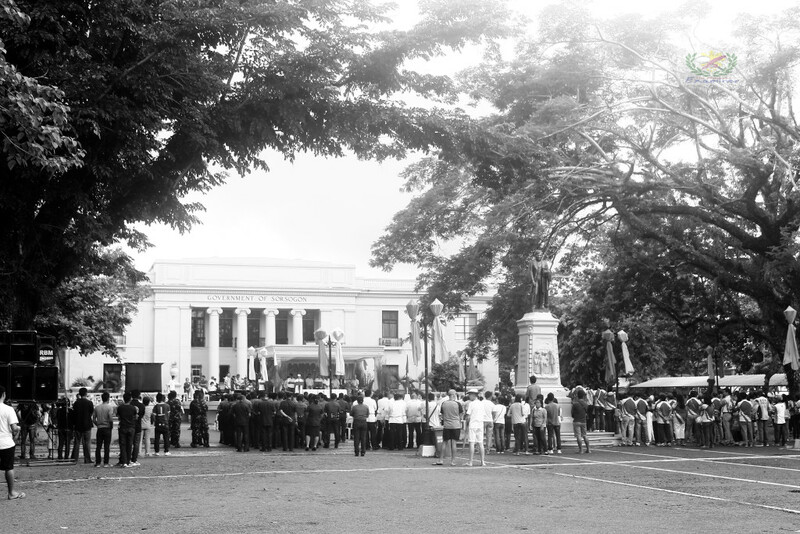 They communicate a strong cultural message that Bìkólánó has already owned a distinct culture prior to the coming of Spanish colonizers in the country – and the people of Sorsogon are still proud to dance their cultural heritage.. 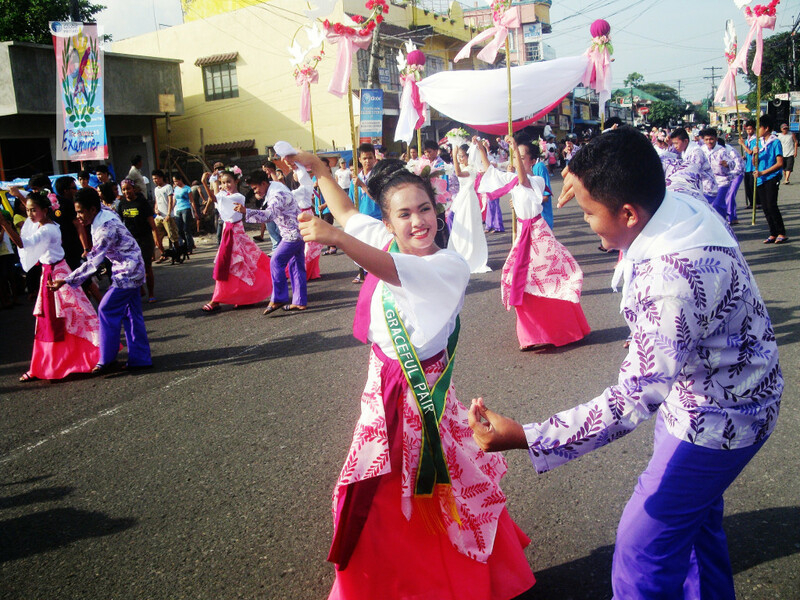 The Pántómìná dancers of Kasanggayahan Festival are always theatrically ready to perform and deliver their message as they perform the street dance along the jam-packed Magsaysay Avenue on how to perform the Pántómìná sa Tìnámpó gracefully every year. 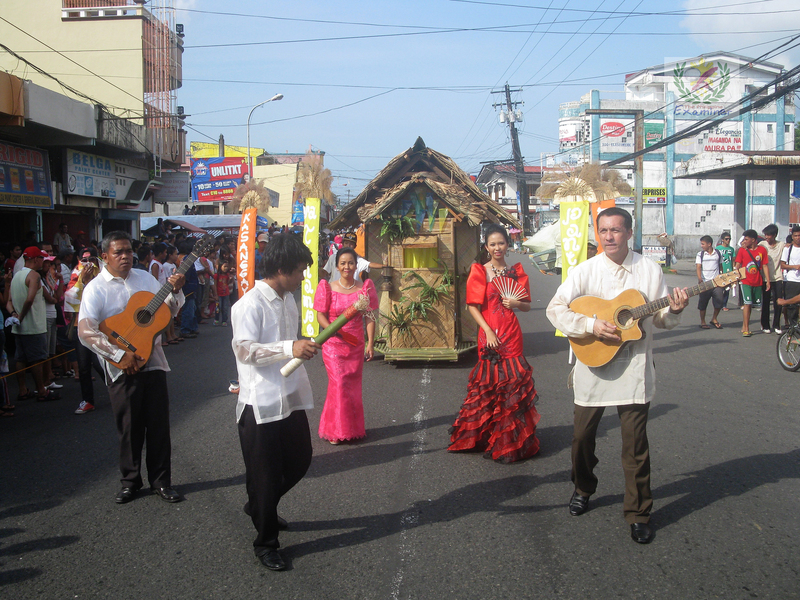 Traditionally before, Pántómìná is being performed during weddings and other special occasions all over Bicol region, even in Samar Island. 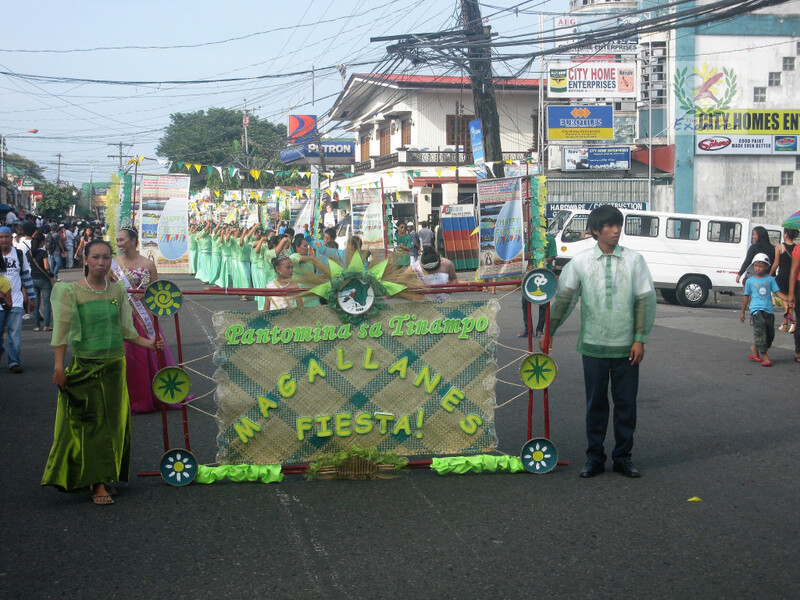 The Pántómìná sá Tìnámpó is a choreographed cultural street dance presentation to the tune of a waltz – and is considered a cultural statement of Sorsogon for the only province in Bikolandia to adopt the folk dance and is taking the center stage during the celebration of Kasanggayahan Festival. 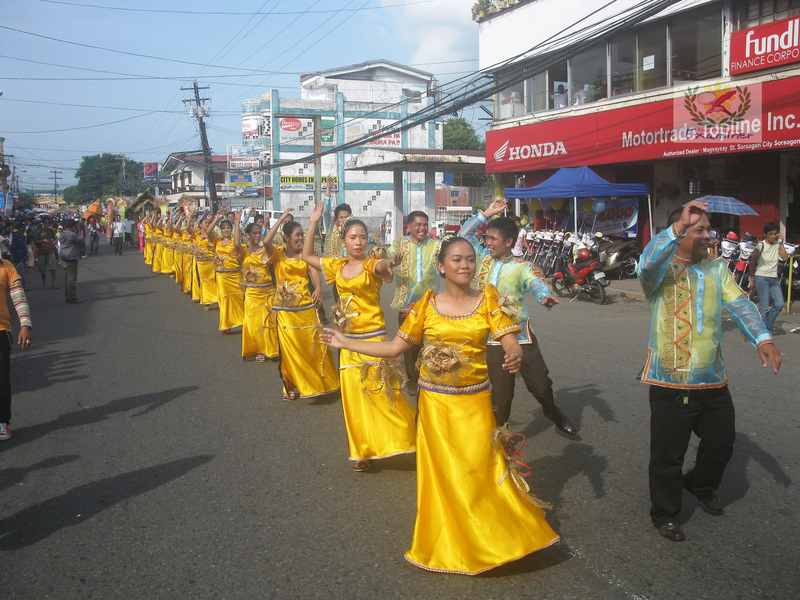 This annual dance competition is participated by contingents from every municipality in the province that converges in the capital City of Sorsogon wearing their traditional Barong and Saya. 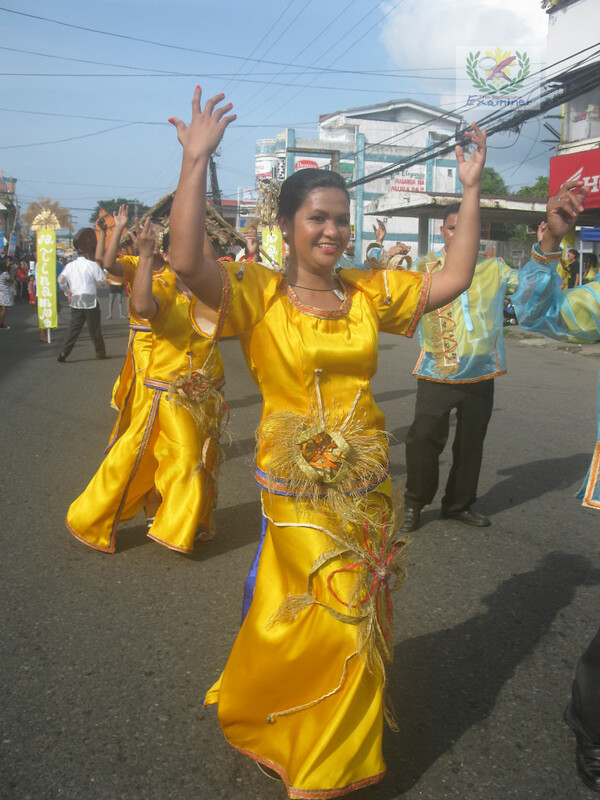 The street dance is their medium in conveying the message that the past is very much alive, as the Pántómìná sá Tìnámpó remains the link to the present generations.